Ombre Rose can be translated literally as “pink shadow” or figuratively as a rose’s shadow. Both readings suggest that the rose scent in this Françoise Caron-composed perfume will be softened, and we will smell its shadow rather than rose straight on. Shadows cast darkness over things, shrouding them and making them mysterious and maybe even sinister. But pink shadows? Not exactly intimidating! A perfect name, really, for what you’ll find inside. The rose in Ombre Rose is, in fact, shadowed by peach, orris, coumarin, musk, heliotrope, vanilla, and sandalwood, turning it into something at once powdery, gourmand, spicy, and woody. (It’s characterized as an aldehydic floral, but it seems more like a Floriental to me.) You can smell its influence on Loulou — minus the incense — but Ombre Rose has some crackle in addition to its sweet, soft, and confectionary simplicity. Its spicy, musky, and woody drydown is near-intoxicating. gives it a bit of a plasticky/synthetic character that I don’t mind. And maybe it’s here that, mixed with powdery orris, the face powder accord is born. Ombre Rose (like Balenciaga’s Fleeting Moment) seems to be a self-reflexive perfume, that is, a perfume that reflects on its Perfume-ness. Where Fleeting Moment addresses, in its name, perfume’s evanescent nature, its character as a substance that by definition disappears as soon as you encounter it, Ombre Rose calls out perfume as a medium for memory and nostalgia by using, as its base, a vintage perfume formula that smells like vintage face powder. If I want to trace the self-reflexivity further (and I do!) it goes even deeper. That re-used base was itself being self-reflexive: by reproducing the scent of face powder (rather than a flower or something “natural”), it’s commenting on its own status as a cosmetic but also on itself as an aesthetic medium. It reflects; it doesn't merely reproduce. Angela at Now Smell This wrote a great post last year about which perfumes were witty and which were not. It seems to me that there’s something inherently witty about a perfume that calls attention to the scent of cosmetics, and to women’s relationship to the whole culture of cosmetics: the ritual, the aesthetics, and (let’s face it) the fetishization of it. What could be more fetishy than liking the smell of lipstick or face powder? Maybe wanting to smell it in your perfume and on your skin! Ombre Rose holds within it all these different shades (or shadows?) of meaning. To extend the analysis even further, a "shade" can mean: 1) a reminder of something, 2) a subtle difference in meaning, and last but not least, 3) a ghost. * “The fragrance of the original base has a very cosmetic note. It rings a bell. That’s why it is so successful." - Pierre Bourdon on Ombre Rose in French Feminine Fragrances. ** The necrophilic resonances don't stop at the resurrected Roure base that became the foundation for Ombre Rose. Even the bottle was disturbed from its grave and revived for Ombre Rose: It was created in 1920 for a perfume called Le Narcisse Bleu. The moulds still existed for the bottle, so Bourdon and Caron went for it. The above image is from an eBay auction for Le Narcisse Bleu that's going on as I write this. So tempting to click my way into ownership of a mini of this. I see heliotrope, praline, and comfort scent, and I reach for my credit card. Still, I'm restraining myself because I am a bit cautious about cosmetic powder scents. I don't suppose you have been able to compare this to something like Love, Chloe, which is also based on cosmetic scents? But LC is pure cosmetic, I thought, nothing gourmand about it. To say that I was ecstatic when I stumbled upon your website online not too long ago would be a gross understatement! Having been enchanted by fragrance since the age of six when I received my first bottle of cologne (Avon's Field Flowers) I have worn over 300+ fragrances thus far (and am still counting!). Ombre Rose was one of them. I remember it as soft,powdery and mildly sweet. If I smelled it again I am sure that it would transport me to my high school years! Several years ago when I discovered the amazing ease of purchasing discontinued fragrances online I went on a shopping spree and purchased numerous scents that I wore in my late teen/early adult years (Nocturnes de Caron, Metale, Nikki de Sainte Phaille, Joop!,Bal a Versailles, White Shoulders,Coriandre: I would love your "take" on any of these!) from a large, "reputable" online discount fragrance store. When they arrived what struck my nose was rancid, sour and chemically off renditions of the sublime scents I had remembered them to be. After that I made no attempt whatsoever to begin a love affair with vintage fragrances. Is this to be expected or was it just that I received a batch of EDTs and EDPs that were poorly stored, thereby altering their chemical make-up? After reading all of your reviews I am so intrigued/tempted (budget allowing, of course!) to purchase several discontinued scents that I wore many years ago that you have written about as well as vintage ones I have yet to try. I think part of my having owned so many fragrances over the last 35+ years stems from the fact that the current stuff is inferior to the vintage and I am forever on that elusive quest for the "perfect scent" that I can call my signature one. Adding to this is the fact that I just finished reading Chandler Burr's "Emperor of Scent" and was extremely disheartened by the greed and lack of artistry that currently exists in the perfume industry. I am getting closer and closer to just purchasing a whole batch of various essential oils from Aura Cacia and experimenting with them. Or should I try the vintage route again? The prices of some of them on e-bay are daunting! Hi breathe31, don't give up on vintage scents! But be cautious. Many fragrance houses cynically trade off the reputation of a classic scent without supporting its manufacture with good quality materials. In my experience, Chanel and Guerlain do look after their classics, other companies not so much, or so consistently. The Perfumed Court is a good way to go, as Barbara says. BUT - do have a go at some of the new niche brands and indie perfumers too. There is great stuff out there, but not necessarily from the mainstream brands. Where the mainstream brands are letting us down, the niche houses are filling the gap with innovative stuff. It can be expensive - but some places have sample sets and TPC has the niche releases. http://www.nstperfume.com/ has great overall coverage of the perfume industry generally, and in its open threads, you can ask lots of questions of some very experienced people. Have fun! Thanks,Anne! I guess I assumed that even the vintage perfumes that are out there now are reformulations! One of my favorite Chanels that I wore in junior high was Cristalle. Recently I tested it in a department store and it was not as brilliant as I remembered (turned out it was "modernized"). My only experience with vintage Guerlain is L'Heure Bleue (I recently posted a comment on it) which I purchased from Saks Fifth Avenue in NYC. I am wondering now if this one is reformulated as well. My apprehension about purchasing true vintage from various online stores is whether or not it has been stored properly and will still smell as it should. Or is this just a myth that fragrances go bad? In my 20s I used to store my "seasonal scents" in the fridge to keep them "fresh". Another fallacy? Now I tend to buy one to three fragrances at a time and use them up before moving on to new ones.After reading Chandler Burr's book "Emperor of Scent" I have become completely disillusioned with the fragrance industry and would love to find the non-commercial/non-mainstream perfumers that make classical scents. My girls love Pacifica (are you familiar with this brand?) which I don't mind for them because the products are all natural. However, the company's push now is more towards the fruitier scents (which sell better at SEPHORA) and they are downsizing their wood/resin categories which I adored. What niche brands and indie perfumers would you recommend? 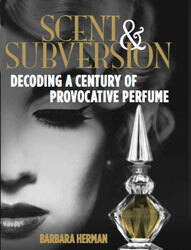 In the past I have tried Creative Scentualizations and Scents by Terri(too expensive and too cliche). Any advice from you and/or Barbara would be much appreciated! Breathe31, storing perfume in a dark, cool place (your fridge is perfect) will keep it from deteriorating. They do go bad if they're stored improperly. As for niche lines...wow. Where to begin? Probably the two you will hear about a lot about are Serge Lutens and Frederic Malle, but there are so many others that are wonderful, too. Look at the perfume blogs I've listed to the right under Inspiring Perfumaniacs for more info. They mostly talk about modern and niche. Olfactarama, Bois de Jasmin, I Smell Therefore I Am, Perfume Shrine...so many other informed and passionate perfume lovers there who are talking about niche lines. And you should join Basenotes or Fragrantica to get tips, too. Enjoy! I think L'HB has survived well. I also wear modern Mitsouko. I don't like to dismiss all reformulations. I wear modern Miss Dior and although it is not as good as vintage, it is still wearable in my opinion. On niche brands, try Sonoma Scent Studio (http://www.sonomascentstudio.com/index.shtml) and Olympic Orchids (http://www.orchidscents.com/). These are inexpensive. I am exploring Diptyque at the moment (some might argue that Diptyque is more mainstream these days!). Tauer Perfumes have free shipping on their sample sets. Anne and Barbara- Wow, ladies! Thank you so much for taking the time and offering up the great advice and recommendations! I was on the fence about trying modern Mitsouko but Anne just pushed me over! And I love L'Heure Bleue which I am wearing now to usher in the spring here in the cold Northeast! Barbara you are right! I miss the days when I lived in NYC and SAKS and Barneys were just a train ride away. I used to go crazy in those stores! Nowadays with a husband who just doesn't get my addiction I have to be cautious in what I purchase (he looks at every box that comes via UPS!!! )so I appreciate the info. on the niche brands that are less expensive. Barbara- I feel bad about filling up your website with my endless chatter but I am thrilled that I have been able to find individuals that are as obsessed as I am and also much more knowledgeable than I: what an education for me being able to pick both of your brains!And I love reading your opinions/insights and being able to post my own comments on all of the past fragrances I have worn and adored! Ladies you are becoming a bad influence on me :) I just ordered full size EDPs of Mitsouko and L'Heure Bleue as well as a sample vial of 24 Faubourg (either one of you familiar with this scent? I have heard much about it and always wanted to try it). I have to refrain from visiting the websites you both suggested, lest I bankrupt myself...too many temptations! Oh my! Mitsouko and L'Heure Bleue EDPs in one purchase. How lovely!I am wearing L'HB but it is autumn here. I can't wear it in hot weather at all. Never tried 24 Faubourg. Hope you enjoy all your goodies!! Yes, I broke the bank with 2.5 oz each of L'BH and Mitsouko, with the rationalization that my birthday is at the end of April:) . I foreworned my hubby by showing him my just about empty bottle of L'HB- he just rolled his eyes! Barbara, I noticed that there is no review on Mitsouko. Any chance that this will come in the near future? Anne, at your suggestion Miss Dior will be my next conquest (maybe a mother's day gift for myself?). This time I will leave my bottles 1/4 full before placing them in storage so that I can go back to them 20 years from now and reference (as I should have done with so many discontinued/original scents that I once had :( !!!). Hi, Breathe31. It seems like you've got a serious case of perfumania! I do have vintage Mitsouko, and for some reason have never reviewed it. I may soon enough! Thanks, Barbara! Once I get my bottle of Mitsouko I am sure that I will want to read your take on it! And,may I add that after perusing through all of the websites that you and Anne have suggested, yours is by far my absolute favorite for many reasons including the visuals and the beautifully descriptive and, at times, humorous ways in which you describe scents! There is definitely a book to be made with your writings! Something that Anne mentioned about not wearing L'HB in the summer brought to mind that I would also love your take on "seasonal fragrances" some time in the near future. I had fun this morning adding my "two cents" to your "Huffer/Scrubber" section (great phrases, by the way!). No, Barbara, thank you for taking the time to write your great posts! As I said in my first comment I have been bewitched by the power of fragrance since I was a young girl (for me smell is the only avenue through which I can evoke such vivid memories of people and places and not a single day goes by when I am not wearing perfume). I know what I like but I could not tell you the top,middle or basenote of a fragrance, nor the history behind certain scents. The fact that you put forth such effort with extensive research and make it so enjoyable to read is very much appreciated and I eagerly look forward to future posts! Hi breathe, do be careful with Miss Dior. I stand by my opinion that the modern iteration is very wearable (I bought mine in 2007), but many long-term fans of this fragrance would disagree. Why don't you have a look on eBay for one of those old 10 ml minis that used to be produced for Miss Dior. There are often plenty of them and they are not necessarily expensive. They are in the old black and white hounds tooth label; not sure when they went out of production. 1990s? Anyway, I have one, and it is true that the older Miss Dior is deeper and richer than the modern, which is dryer. I would hate you to be disappointed with the modern, when it is relatively easy, in the case of this perfume, to compare old and new. Thanks, Anne. I am a bit apprehensive about e-bay because I wonder about the quality of the perfume and other writers have mentioned that e-bay is a real pain. You stated that the old ones are in the black and white houndstooth label. How is the new one packaged? I am willing to gamble on trying the new reformulation as you seem to indicate that it is wearable. As I commented on the Huffer/Scrubber post there really aren"t too many fragrances that I completely disdain: if anything a fragrance is met by me with indifference (I guess I don't have that expert nose!). By the way, when I looked online for Miss Dior what popped up (including in Sephora) was Miss Dior Cherie. Is that a completely different scent? Also, Barbara and Anne, what are your thoughts on blending? A writer on another website posted that she blends L'HB with Mitsouko. This seemed a bit odd to me although I haven't received my Mitsouko yet so I am not sure as to what it smells like. I rarely layer fragrances, but a lot of people do. Miss Dior has been sold for some time in a frosted houndstooth bottle (ie the houndstooth is picked out in relief in the glass). Before that, the houndstooth was printed in black and white on the label or box. In the case of the ribbed bottle, not on the label at all because this bottle design was used for other Diors as well. A glance at eBay results will give a good idea of the range of bottles - there have been many. And yes, Miss Dior Cherie is a flanker. It nears no resemblance to the original. There is a lot one could say about eBay. There are bargains, but there are risks. I've bought a lot of perfume on eBay and never had any real trouble, but I never spend much money at once. Yes,Anne I remember the look of that bottle when they sold it in department stores many years ago. Is it discontinued or can I still purchase it in a high end dept. store? Perhaps I will have to bite the bullet and try e-bay! A couple of months ago I bought a couple of samples of Ombre Rose l'original on ebay to sample before I blind buy a full bottle (I'm learning). I wore Ombre Rose in edt (I think it was), a frosted bottle, and parfum in the black bottle back in the 80s. Those are the bottles that are depicted in the ad above. It was a gorgeous, gorgeous fragrance. This current version seemed pleasant enough, but it was lacking something. I just seemed a bit flat and one dimensional. I think it has been reformulated, unless so much has changed in my perception and hormones that the same gorgeous fragrance could become so boring. It smells like rosy baby oil now. I think, if this stores well, that vintage would be the one to look for. I wore Ombre Rose in the 80s, and there is a difference between the vintage edt and the current version called Ombre Rose L'Original. The vintage is superior to my nose, though I can't quite say why except that it smells better, more in focus, while the current version smells of baby oil or baby lotion in the beginning. It dries down to a pleasant fragrance. I wouldn't call it rancid or sour. I will look for a bottle of sealed intact vintage Ombre Rose. It was the honeyed/praline aspect that first attracted me to it in the 80s. It was the first scent I'd worn that was *delicious*. I was mesmerized from the first moment an Ombre Rose sample was handed to me in Bamberger's/Macy'sone evening in the early 80s. So mesmerized that it became my sole cool weather scent for years (resorting to White Shoulders in the summer). I rejoiced when I found a wrapped spray bottle of Ombre Rose at a local thrift store about 5 years back and it still smells as glorious to me as it did way back when life was simpler and I was not so cash strapped as I am now as a senior citizen. Recently I was impressed with Avon's Rare Gold but while the scent of the talc lasts for an extremely long time on me, I don't get long out of the spray. I really miss Healing Garden's ZZZZ linen spray and body lotion which stayed on me a long time (and the linen spray on my pillow). It was lovely to wake in the morning and smell the scent of oranges and vanilla as I moved the sheets. I truly wish someone would make something similar. I remember my Mom telling me I was old before my time because I loved Muguet de Bois and Yardley's Old Engliah Lavender in high school. I also loved the color lavender and lace fabric and believe she figured I was a lost cause at that time. Thanks for your beautiful comments on my all time favorite, Ombre Rose.